Make the jump from training divers to training Dive Leaders. 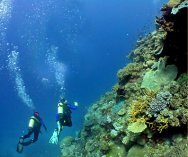 In doing so, you become a key player in the success of your dive facility and meet one requirement of becoming a Master Instructor. 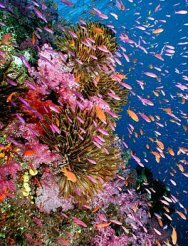 Dive Control Specialists contribute significantly to the success of a dive business because they can assist in so many ways (see Dive Control Specialist page). In addition, DiveCons create a ready pool of candidates for Instructor programs. 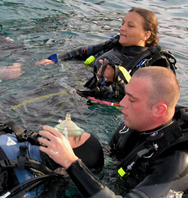 The Dive Control Specialist course can be rewarding, fun and profitable to teach. To receive their DCSI rating, candidates must have a minimum of 30 SSI certifications and current training in CPR and First Aid. The program consists of a seminar covering SSI Training Standards, training procedures, materials, skills sessions, classroom sessions and course administration. 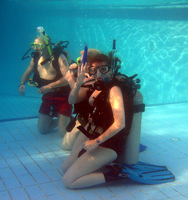 The program requires the DCSI and DiveCon manuals, videos and the Dive Control Specialist Training Record. Upon graduation, SSI DCSIs can train Dive Control Specialists. To maintain active status, DCSIs must be affiliated with an SSI Dealer and have current insurance.